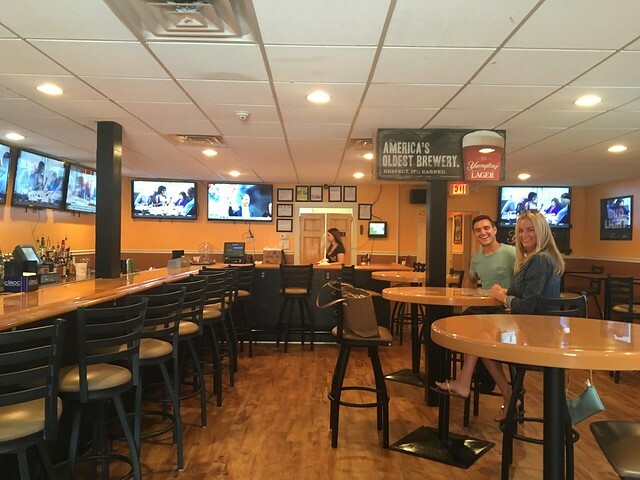 The Triangle Pub that sat prominently next to Rite Aid and across from Family Dollar and Exxon in Westover has undergone a facelift. 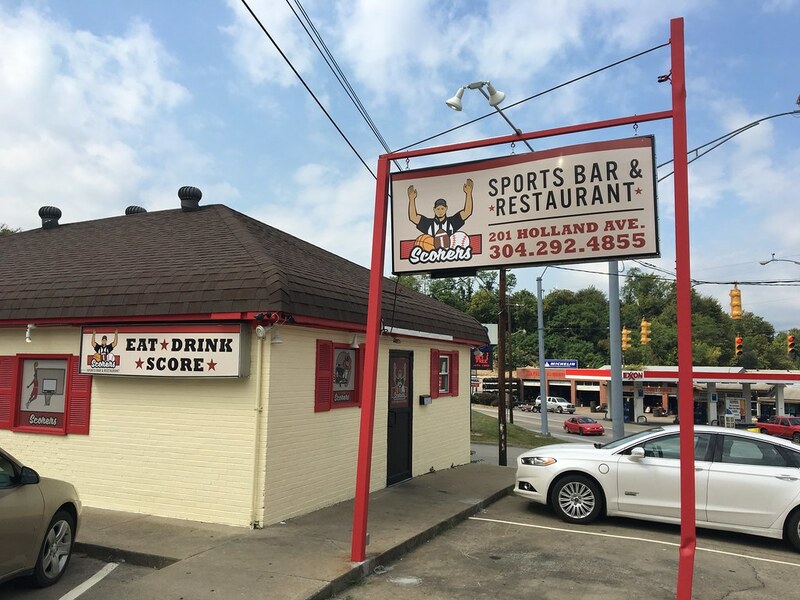 It is now home to Scorers Sports Bar & Restaurant, which, as you might guess, caters to a sports crowd. The small building has a long bar that extends the length of the place, with a few high top tables placed throughout the rest of the space. Lots of light wood, black accents and flat-screen TVs hanging on the walls. It was clean and new feeling. 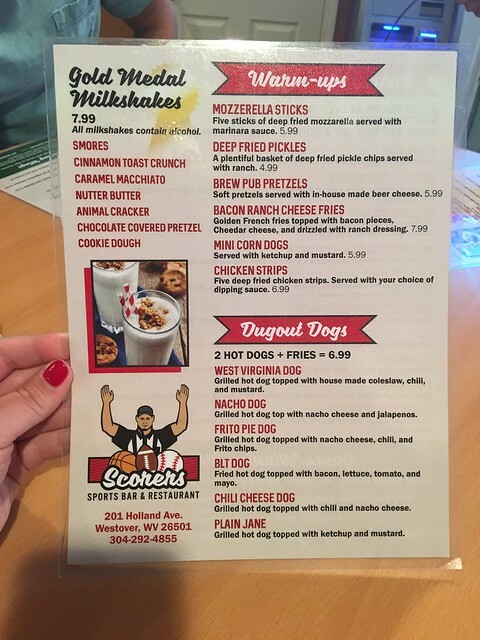 The menu features some fried appetizers, hot dogs, burgers and wings. Oh, and some alcoholic milkshakes. I ordered the Rodeo Burger, which our waitress said was the most popular. It is an "All-American burger topped with American cheese, bacon, Jack Daniel's Honey BBQ Sauce, and an onion ring. 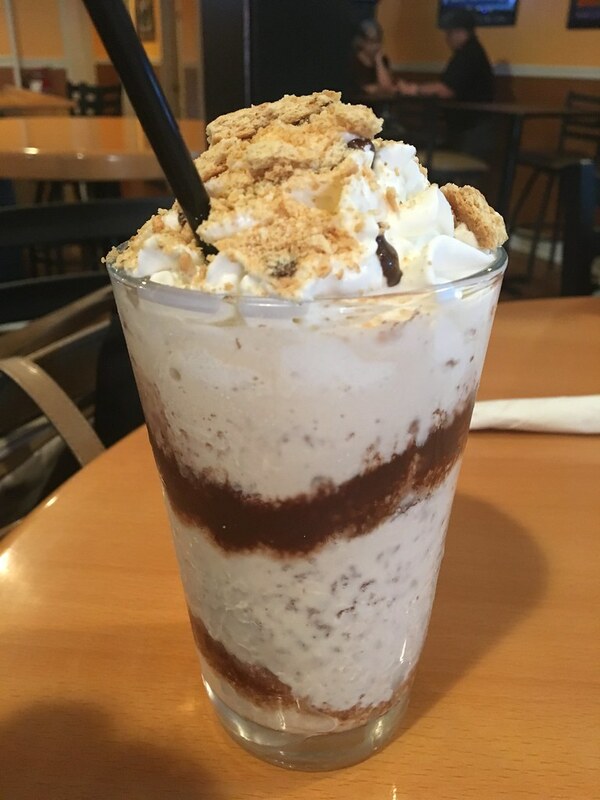 And, a s'mores milkshake, which was spiked with vanilla vodka and creme de cocoa. The burger was decent. The bun was buttered and griddled to perfection. 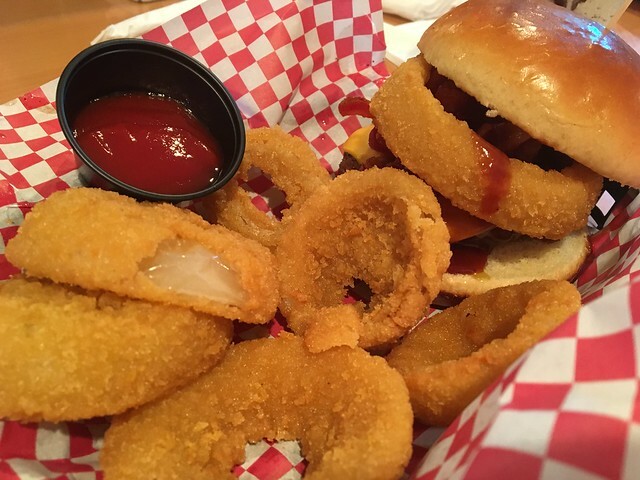 Good sauce, good onion rings. The burger itself could've been a bit bigger, juicier - but still pretty decent overall. The onion rings were good. The milkshake - pretty strong, and considering I had places to be, I didn't finish it. But, this place is a decent option for a game and some grub. I don't usually catch myself on this side of town often, but it's a nice new place for those who do.